Turn off at Exit 129 for the New Jersey Turnpike and head south. Turn off the Turnpike at Exit 9, bear right after the tollbooths and follow the signs for "Route 18 North - New Brunswick." Stay to the left to continue on Route 18 North. Take the exit for Route 1 South. Proceed on Route 1 South and take the exit for College Farm Road. Proceed along College Farm Road to the intersection of College Farm Road and Dudley Road. Turn left onto Dudley Road and continue to Nichol Avenue. Turn left onto Nichol Avenue. Continue along Nichol Avenue, bearing right at Sandford Street. Turn left onto Jones Avenue. Turn left onto Jones Avenue for one house and then turn left onto the driveway into Parking Lot 95. Headlee Research Laboratories will be second building on the left. Turn off at Exit 105 and follow signs for Route 18 North. After approximately 24 miles, you will pass the entrance for the New Jersey Turnpike. Continue on Route 18 North. Take the exit for Route 1 South. Proceed on Route 1 South and take the exit for College Farm Road. Proceed along College Farm Road to the intersection of College Farm Road and Dudley Road. Turn left onto Dudley Road and continue to Nichol Avenue. Turn left onto Nichol Avenue. Continue along Nichol Avenue, bearing right at Sandford Street. Turn left onto Jones Avenue. Turn left onto Jones Avenue for one house and then turn left onto the driveway into Parking Lot 95. Headlee Research Laboratories will be second building on the left. Turn off at Exit 9 "River Road, Bound Brook, Highland Park." Proceed East on River Road toward Highland Park. Make a right onto Route 18 South (exit after the traffic light at Landing Lane). Cross the Raritan River on the John Lynch Memorial Bridge. Continue on Route 18 South. Take the exit for Route 1 South. Proceed on Route 1 South and take the exit for College Farm Road. Proceed along College Farm Road to the intersection of College Farm Road and Dudley Road. Turn left onto Dudley Road and continue to Nichol Avenue. Turn left onto Nichol Avenue. Continue along Nichol Avenue, bearing right at Sandford Street. 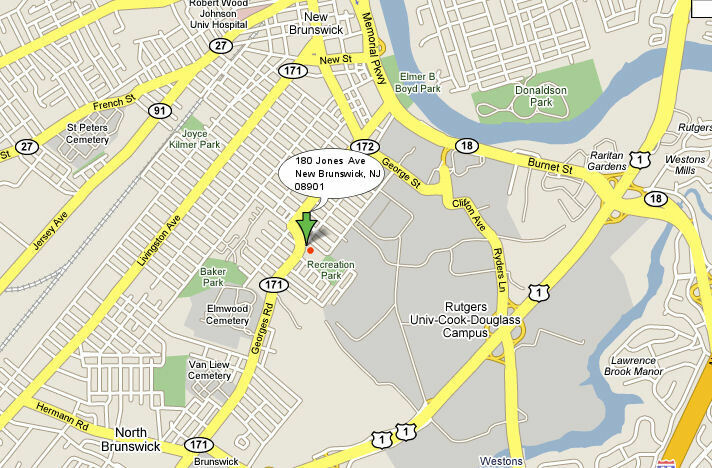 Turn left onto Jones Avenue for one house and then turn left onto the driveway into Parking Lot 95. Headlee Research Laboratories will be second building on the left. 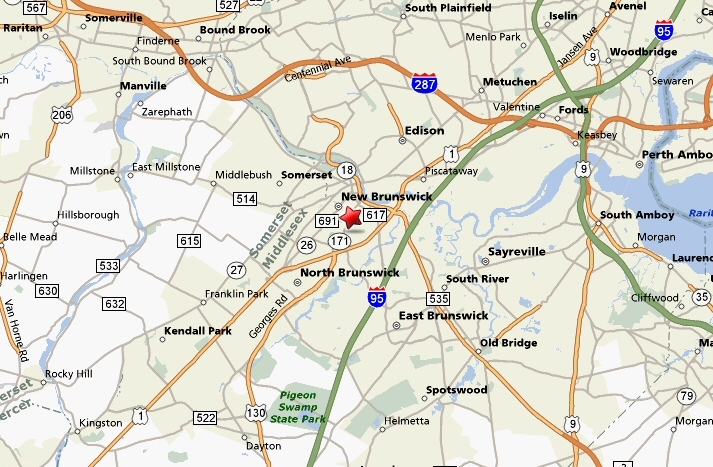 Turn off at Exit 9, bear right after the tollbooths and follow signs for "Route 18 North - New Brunswick." Stay to the left to continue on Route 18 North. Take the exit for Route 1 South. Proceed on Route 1 South and take the exit for College Farm Road. Proceed along College Farm Road to the intersection of College Farm Road and Dudley Road. Turn left onto Dudley Road and continue to Nichol Avenue. Turn left onto Nichol Avenue. Continue along Nichol Avenue, bearing right at Sandford Street. Turn left onto Jones Avenue for one house and then turn left onto the driveway into Parking Lot 95. Headlee Research Laboratories will be second building on the left. Proceed on Route 1 South past the exit for Route 18. Take the exit for College Farm Road. Proceed along College Farm Road to the intersection of College Farm Road and Dudley Road. Turn left onto Dudley Road and continue to Nichol Avenue. Turn left onto Nichol Avenue. Continue along Nichol Avenue, bearing right at Sandford Street. Turn left onto Jones Avenue. Turn left onto Jones Avenue for one house and then turn left onto the driveway into Parking Lot 95. Headlee Research Laboratories will be second building on the left. Proceed on Route 1 North. Take the exit for College Farm Road/Sqibb Drive. 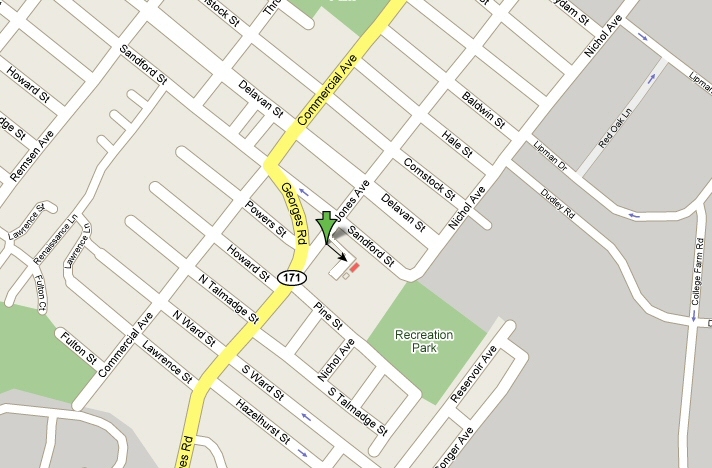 Follow Squibb Drive to the end and make a left onto College Farm Road. Proceed along College Farm Road to the intersection of College Farm Road and Dudley Road. Turn left onto Dudley Road and continue to Nichol Avenue. Turn left onto Nichol Avenue. Continue along Nichol Avenue, bearing right at Sandford Street. Turn left onto Jones Avenue. Turn left onto Jones Avenue for one house and then turn left onto the driveway into Parking Lot 95. Headlee Research Laboratories will be second building on the left.